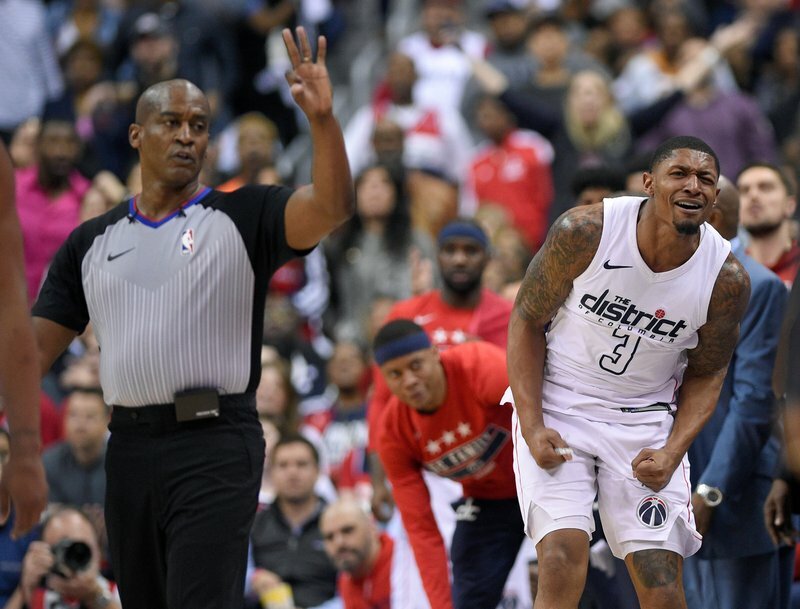 When Washington Wizards guard Bradley Beal fouled out with about five minutes left in a tied Game 4 against the Toronto Raptors, he couldn’t believe the call. He raced to the other end of the court. When he returned to his team’s sideline, he threw a red towel, before being held back by teammates. That would be John Wall, and Beal was exactly right. Wall took over down the stretch after his backcourt mate was done for the day, scoring or assisting on 10 of Washington’s last 14 points as the No. 8 seed Wizards came back to beat the No. 1 Raptors 106-98 Sunday night and even their Eastern Conference first-round playoff series at 2-all. It was 92-all when Beal — who led Washington with 31 points — drew his sixth foul on a play in which he and DeRozan collided while Toronto had the ball. While the closing seconds ticked away, Wall held up two fingers on each hand: Yes, it’s 2-2 now, and the best-of-seven series has become best-of-three. After languishing through an 0-for-4, one-point first half, Wizards SF Otto Porter Jr. scored eight in the first 3½ minutes of the third quarter, including a pair of 3s. He finished with 12 points.